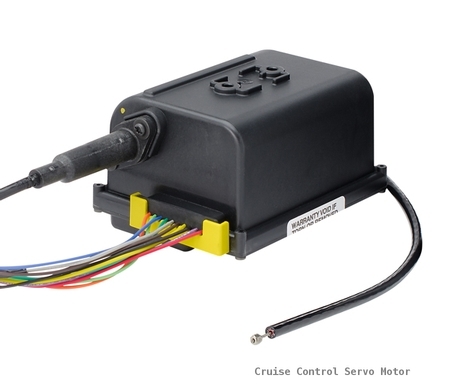 Electric Servo Cruise Control for Vehicles with Cable Driven Speedometers - Includes electric servo, mounting hardware, wiring harness, electric speed sensor and choice of handle. Speed sensor attaches in-line with GM type-speedometer cable. 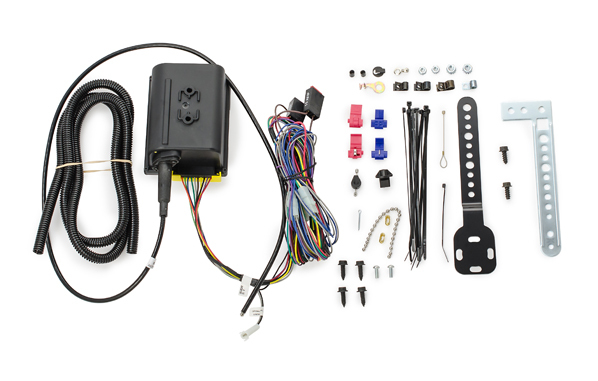 This upgrade is only for installing on any vehicle that does have an electronic Vehicle Speed Sender (VSS) or does have a GM- type speedometer cable. If installing on any vehicle that does not have an electronic Vehicle Speed Sender (VSS) or does not have a GM- type speedometer cable please order the CRS-3000-4165. The CRS-3000-4165 kit includes a magnetic drive shaft senders where magnets SEN-4165 are attached to the drive shaft to create a speed signal. No vacuum needed for easy Installation. Unit measures 5.5" x 4" x 3"
* May require the use of a SGI-5 on vehicles with electronic 700R4 and 4L60E/4L80E transmissions. 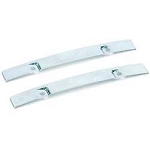 *- HND-1 - Universal Cutoff Handle (BELOW) - Secures to existing turn signal handle shaft. 5/16" I.D. HND-3 - Replacement GM Handle (BELOW) - Secures with single screw through flat end. AVAILABLE FOR SALE OPTIONAL COVERS , PLEASE SEARCH FOR THE PART NUMBER TO ADD THEM TO THE CART. *- The HNC-1-P polished aluminum finish cover. *-The HNC-1 brushed aluminum finish cover.